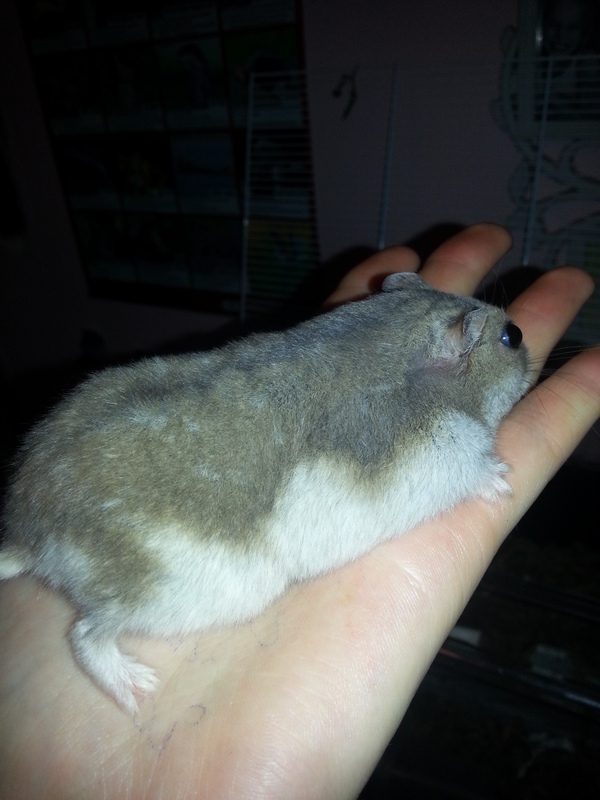 Anyone know why dwarf hamsters (well maybe other hamsters too but of mine only the Russian Hybrid does it) sometimes 'splat' on your hand? Someone once told me that they do this when something startles them (e.g. a sound or smell, doesn't have to be anything big). They lie super flat and still so that they are less visible to predators. My Archie does this sometimes when I'm stroking him - I thought it was because he likes being stroked... surely if he didn't he'd move away, not stay still? I don't know... but a mealworm always snaps him out of it. I would agree but Jane will crawl up onto my hand then do it - but it could depend on the circumstances I suppose! !